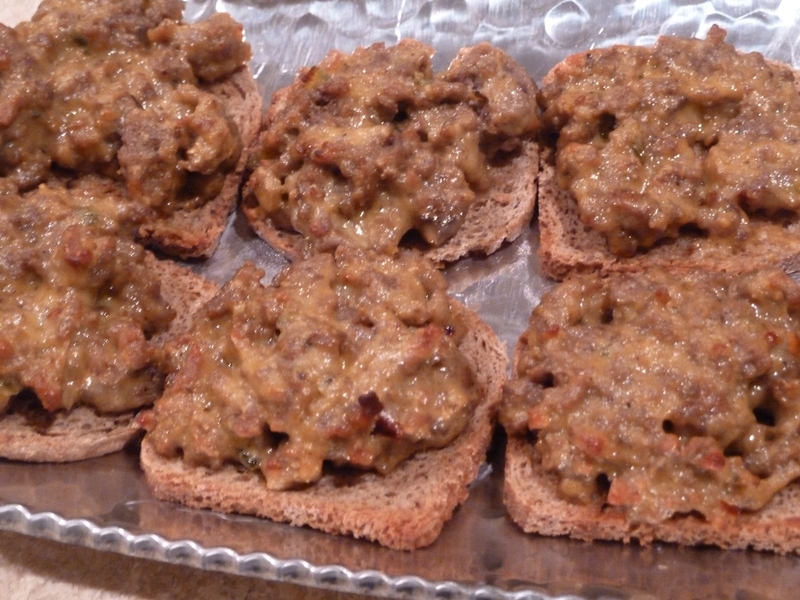 cajun sandwiches | Is there any wine left? This is a blast from my past. My mom used to make these Cajun sandwiches when I was younger but I didn’t know them as Cajun sandwiches then. I knew these by their military slang – S**t on a Shingle. My mom just taught me the more polite name for them more recently. One of the best things about these is that they freeze so wonderfully and can be pulled out when you find out you are having unexpected company or haven’t had time to prepare anything for your husband’s study group. 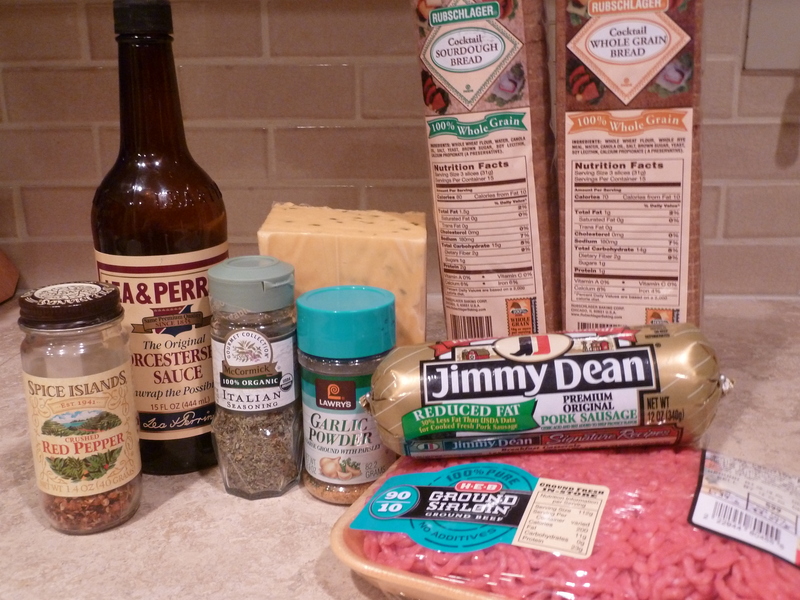 Note the jalapeno cheddar Bully cheese in the picture below — I’m finding every use for it possible! Also, the loaves of party bread can be found in the deli section of my grocery store, not the bread aisle. Confusing, I know. I am just telling you in case you can’t find it in your grocery store on the first pass through either. 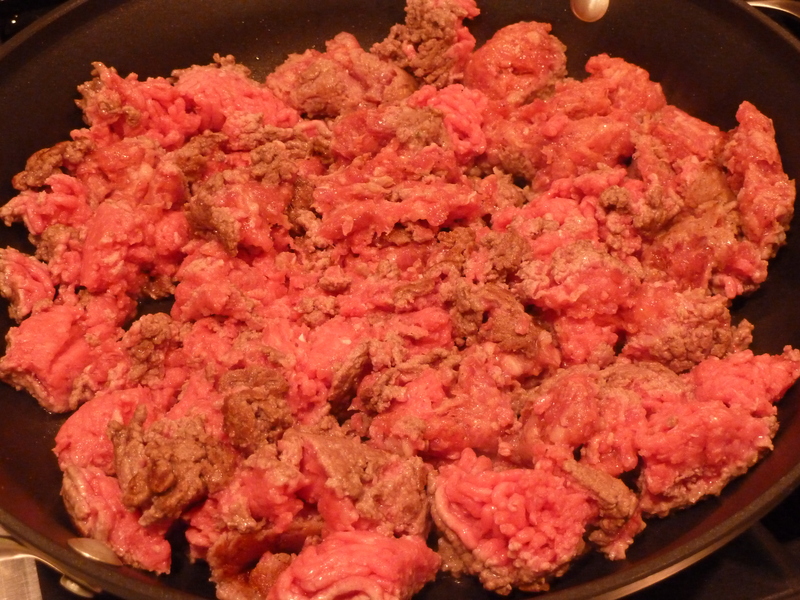 Brown the ground beef and sausage in a skillet. 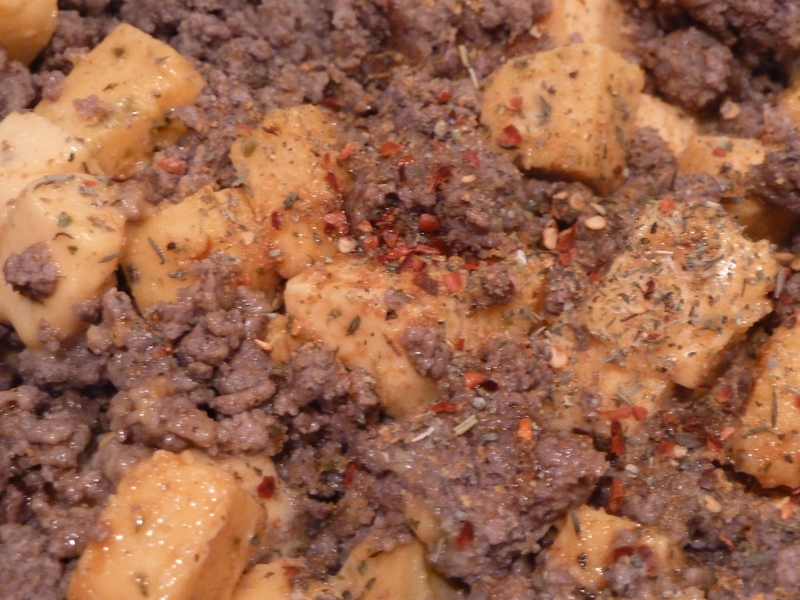 After the meat has browned, drain the fat then add the cheese and seasonings. Cook over medium heat until the cheese has melted and the mixture is combined. Turn off the heat. Spoon 1 – 2 tbsp. 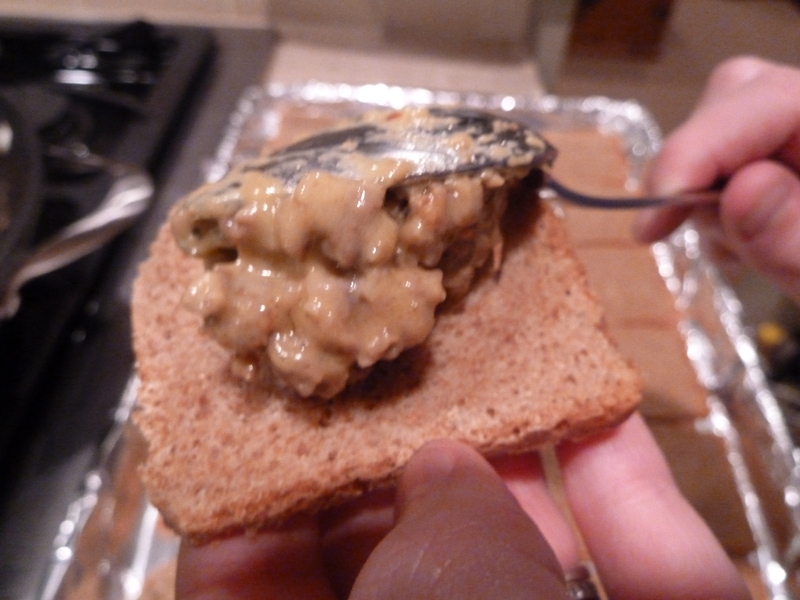 of the cheese and meat mixture on each slice of party bread. If you are planning to serve the Cajun sandwiches right away, bake at 350 degrees F for 10 – 15 minutes until the tops are lightly browned. If you are planning to save them for another night, freeze on a cookie sheet for 4-6 hours. Once frozen, remove them from the baking sheet and store in a ziplock bag in the freezer until you are ready to use them. 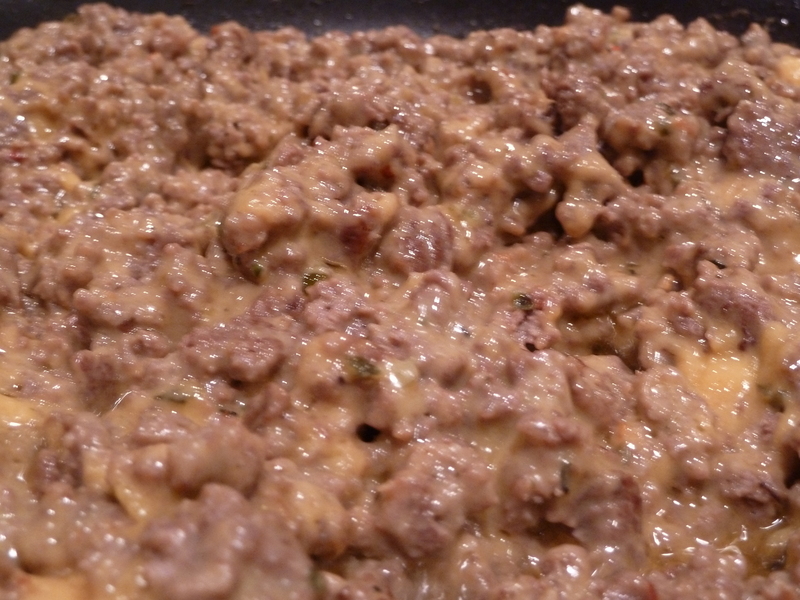 Brown ground meat and sausage. Drain any grease and add the Mexican Velveeta. After the cheese melts add the seasonings and mix well. Spoon 1 to 2 tbls on each piece party rye. 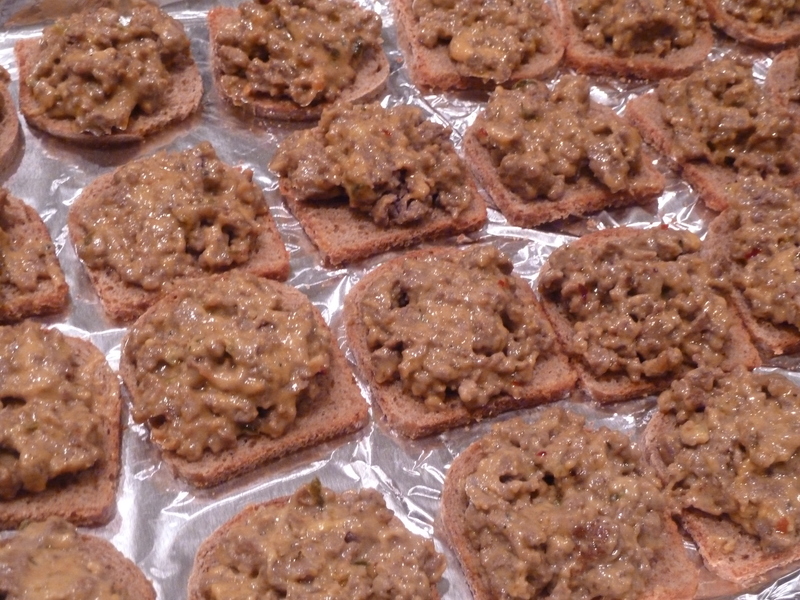 Freeze on cookie sheets and then store in bags in freezer ‘til needed. Bake frozen at 350 degrees F for 10 to 15 minutes. We make these, too – maybe its a BR thing? J calls them Party Ryes!